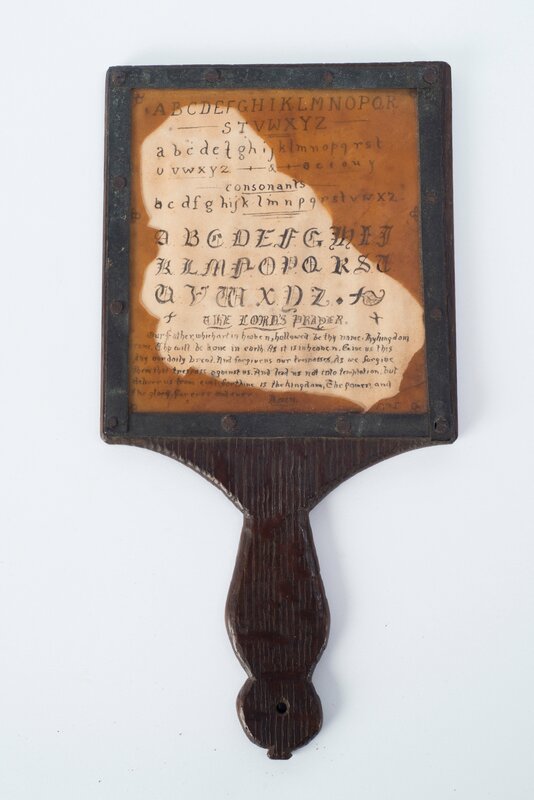 This was an early form of primer used from Tudor times to teach children the alphabet. The paper with the letters on was covered with a thin sheet of transparent horn. 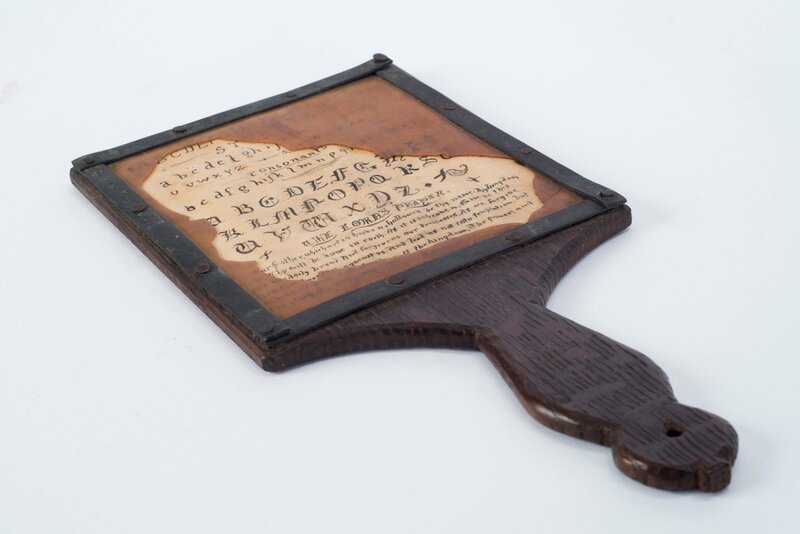 This C19th version is covered with celluloid.